Sheehan syndrome refers to postpartum hypopituitarism caused by ischemic necrosis due to blood loss and hypovolemia during and after delivery . The signs and symptoms of panhypopituitarism are diverse due to the involvement of various hormonal insufficiencies . The most common hormones lost are growth hormone (GH), followed by gonadotropins, adrenocorticotropic hormone, and thyroid-stimulating hormone. 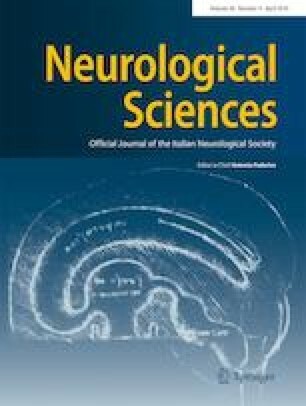 While secondary parkinsonism and neurobehavioral symptoms are well-recognized conditions associated with hormonal dysfunction, especially thyroid and adrenal gland dysfunction [2, 3]; clinical presentation as dementia with Lewy bodies (DLB) associated with Sheehan syndrome has not been reported. We describe a patient with Sheehan syndrome who complained of vivid, recurrent hallucinations, fluctuating cognition, slurred speech, and bradykinesia. This research was supported by Basic Science Research Program through the National Research Foundation of Korea (NRF) funded by the Ministry of Science, ICT, and Future Planning (NRF-2017R1D1A1B06028086). The institutional review board at St. Mary’s Hospital approved this case report. The patient has consented to the submission of the case report to the journal.